I spotted this posting on the Willesden Local History Society. It is from a newspaper said to have been published in 1888. Note the time the club run starts. 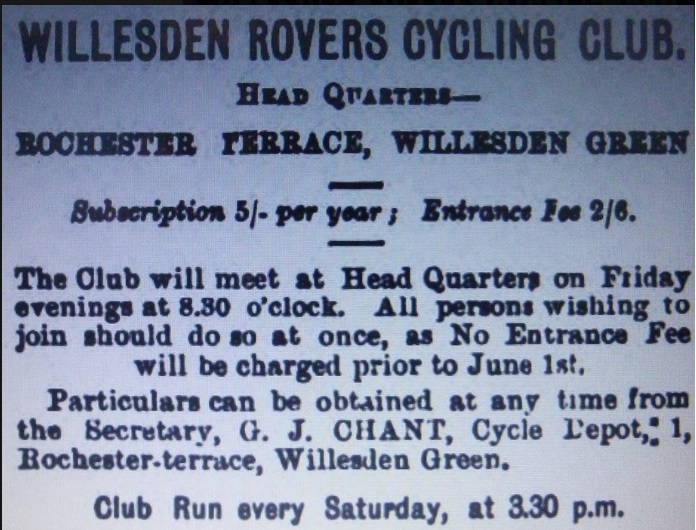 Anyone have any further information on the Willenden Rovers? I guess back then everybody worked on a Saturday morning?